EUNAVFOR warship FGS KÖLN has today, 28 September, stopped and boarded a suspicious group of two small boats, a whaler and skiff. 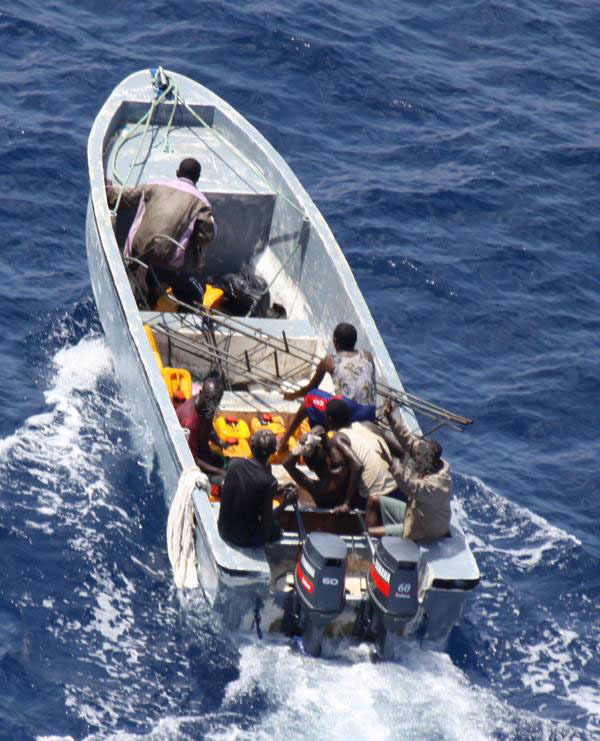 The suspicious boats were located by FGS KÖLN 70 nautical miles South West off Mogadishu, Somalia, 30 miles off the coast. 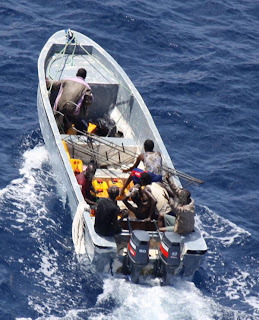 A helicopter was sent to inspect the group of boats and 12 people with equipment usually associated with piracy were seen on board. The boats refused to stop when hailed. KÖLN’s helicopter fired warning shots ahead of the skiff which caused the boat to stop. Before the boats could be boarded by teams from FGS KÖLN, the crew of the boats started to throw weapons and other items overboard. The skiff, whaler and their engines were destroyed to prevent any potential future use for piracy and the men released close to the shore. On September 29 the EU NAVFOR warship FGS KÖLN located and destroyed a suspicious whaler close to a beach off Somalia, 100 nautical miles SW of Mogadishu. 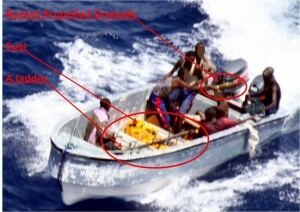 A helicopter was dispatched to inspect and found the whaler loaded with equipment usually related to piracy on board. No crew was seen on board. Consequently, the whaler was destroyed to prevent any potential future use for piracy. 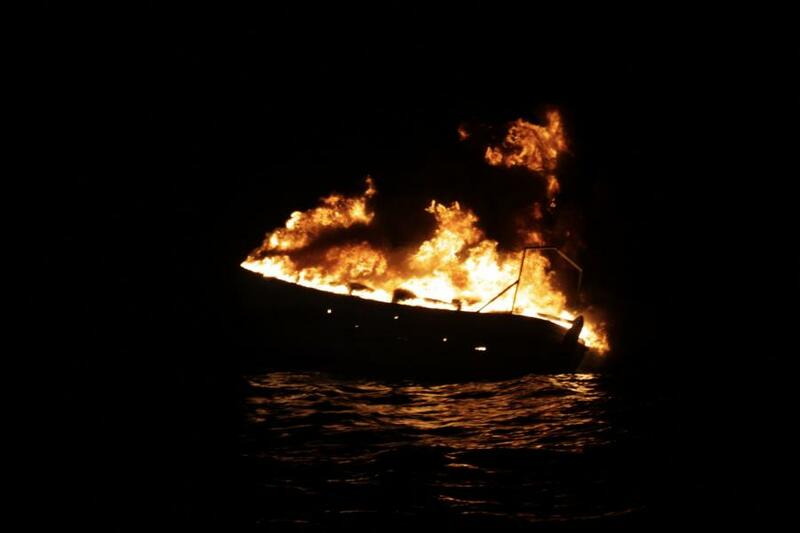 More interdicting of pirate boats like this are needed. Blockade the pirates.